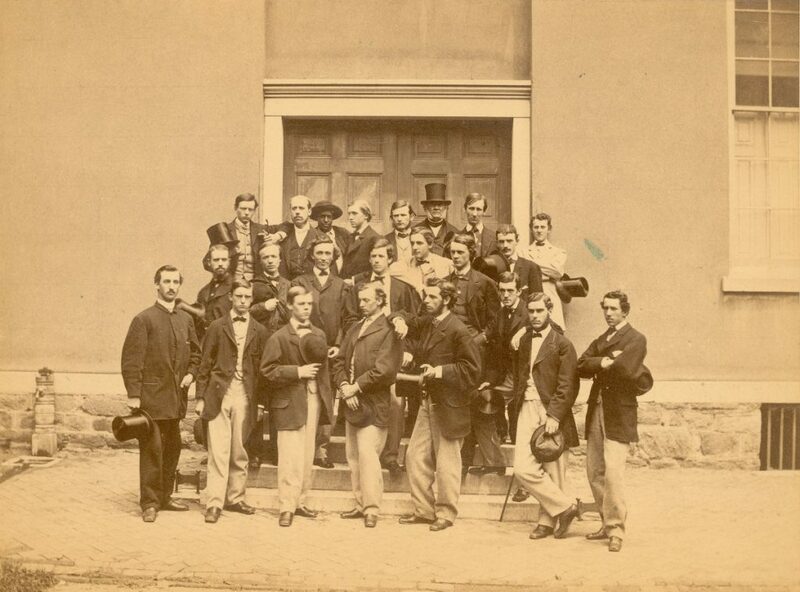 The College Class of 1865 organized the first Class Day at Penn and celebrated with a program held in the afternoon and a Class Supper in the evening. The afternoon event included music, a class history, an oration, a poem, the presentation of the wooden spoon, and a farewell song. In the evening the students gave no fewer than eleven toasts and heard a class prophecy. It was, according to the 1865 Record, “the most splendid celebration which the University has ever known.” William Wilberforce Newton, the class poet, later credited John Clarke Sims as the class leader most responsible for these innovations. In addition to Class Day, the Class of 1865 also introduced the Baccalaureate Service. The Class of 1866 did not celebrate Class Day, but the Class of 1867 certainly did and thereafter it was an annual celebration. In the early years of Class Day, the Senior Class organized and sponsored the event off campus, usually in a center city theater. 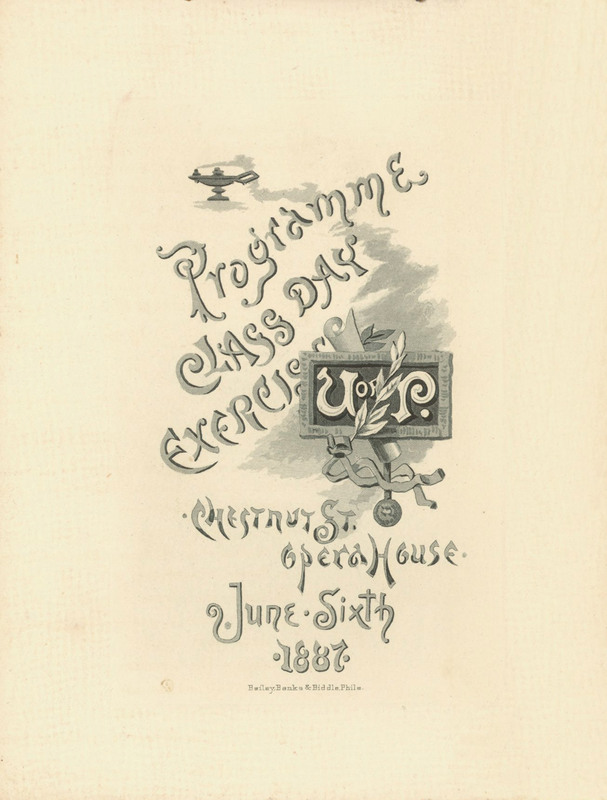 The Class Day program was intended to be entertaining, in both sophisticated and crude styles. It was also intended as an event which would remain forever in the memories of those who attended. The Class recognized and honored its leaders, but also wrote and performed comic skits and music, often excessive in their humor. The Class presented mock awards to some of its members, a practice which quickly became the favorite part of the show. Faculty and administration were free to attend, but did not direct or participate in the program. 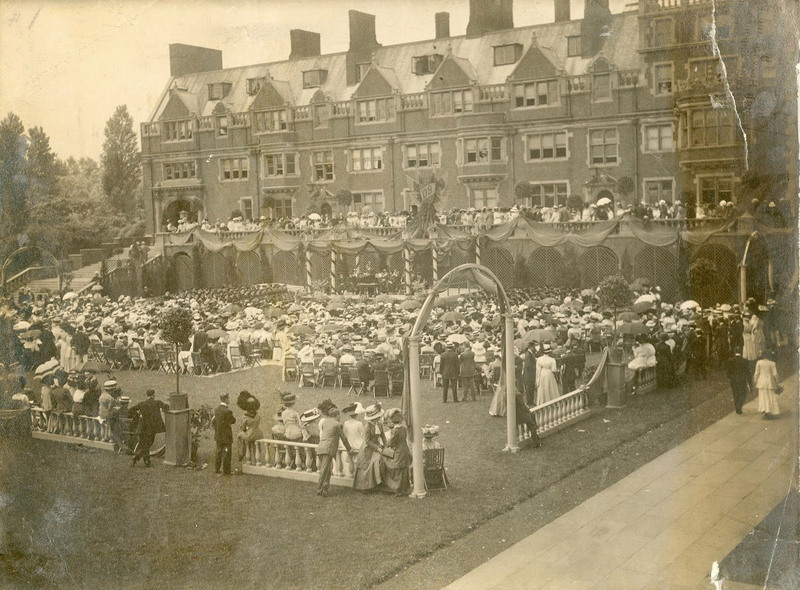 Through the years, Class Day evolved into a formal, Commencement-related event. Beginning in 1887 Class Day was scheduled as one of several programs held in conjunction with the University’s celebration of Commencement Week festivities. Two years later the students introduced the “moving up” ritual, transferring a symbolic cap and gown to the President of the Junior Class. Simultaneously the President of the Class began the custom of delivering a formal speech, the “Salutatory.” In 1896 the Provost and the Trustees removed from the Commencement exercises two of the traditional undergraduate honors, the “Bachelor’s Oration” and the “Valedictory Oration.” In 1901 the Class Day program was amended to include a re-instituted Valedictory. In 1908 Class Day was combined with the traditions of Ivy Day. That year the Senior Class presented the Vice Provost with a silver loving cup, an award unthinkable a generation earlier when the Class Day affair spoofed and mocked the faculty. In the years that followed, Class Day, with its attendant ivy planting and ivy stone ceremony, was transformed into rite as faithfully observed as Commencement itself. The day before Commencement, the Senior Class assembled in cap and gown and marched into the Triangle of the Upper Quad, where it conducted an open air Class Day ceremony in front of thousands of family and friends. The program was repeated, year after year: the President’s Salutatory, the Class History, the Class Prophecy, the Class Poem, the presentations of both mock awards and Senior leadership awards. Finally there was the Valedictory and the transfer of cap and gown to the Junior Class President. Then the Class proceeded en masse to the place on campus where it had set its Ivy Stone and heard classmates deliver the Ivy Ode and the Ivy Oration. At the conclusion was the singing of the Alma Mater and the crowd dispersed. Class Day was first superseded by and then submerged in other undergraduate ceremonies and traditions. 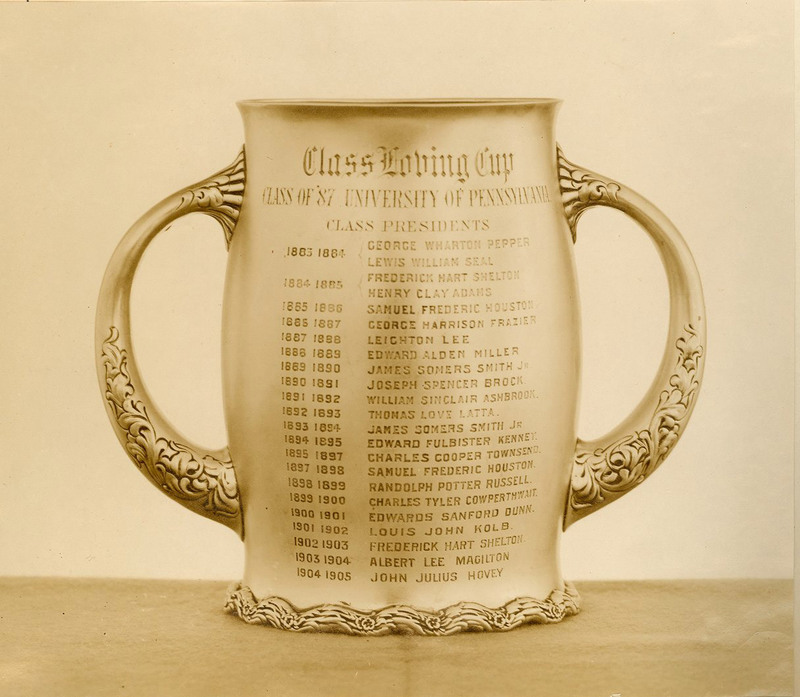 In January 1916, after approximately a half century of ever-larger, ever more elaborate class fights between Freshmen and Sophomores, a freshman died in the annual Bowl Fight. Four months later the students and administration launched “Hey Day” as the official, University-sponsored observance of the date when the members of the Junior Class “moved up” and became Seniors. Senior class leaders and members of senior honors societies were announced on Hey Day, which included a procession across campus and a formal program. In 1931, the University announced that Class Day would be combined with Hey Day. For the next five decades Senior Honor Awards were presented and the Ivy Stone dedicated in conjunction with Hey Day.